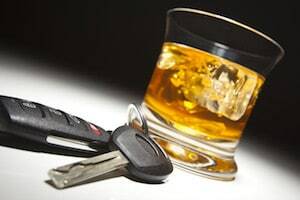 A drunk-driving offense may land you in jail for the night, but ultimately it can result in much more serious consequences, including loss of your driver’s license, a lengthy jail or prison sentence, significant fines and a criminal record that will follow you for the rest of your life. Whether you are a first time offender or you are facing a second or third DUI/DWI charge, it is critical that you consult with an experienced defense attorney regarding your case. At the Law Office of Jim Davis, we provide smart, aggressive and committed legal representation to individuals charged with DUI/DWI. You can be assured that we will mount an aggressive defense to minimize the negative consequences of your DUI/DWI charge. To protect your license, it is critical that you act quickly – contact us to speak with an experienced lawyer regarding your case. Penalties associated with a DUI/DWI arrest or conviction can be severe. You may face several days, months or years in jail, depending on whether it is a first, second or third offense. In addition to fines that can reach into the hundreds or thousands of dollars and loss of your driver’s license, you may face higher insurance premiums and a criminal record. Jim Davis will wage an aggressive defense to reduce, or altogether eliminate, the negative consequences of a DUI/DWI conviction. Losing your driver’s license is something you cannot afford, especially if your occupation depends on it. If you have been charged with a DUI/DWI, you will face an automatic license suspension by the Department of Public Safety (DPS). Thus, after a DUI/DWI charge, you must act quickly. You only have 30 days to appeal the suspension or you will waive your rights to challenge the action. If you have been charged with DUI/DWI, contact us right away to protect your driver’s license and your freedom. Our attorneys will file paperwork that allows for the delay of a suspension. If you are a first time offender and your license is suspended, you may be eligible for a hardship exception. Contact the Law Office of Jim Davis for an immediate consultation on your DUI/DWI case. Call our Gulfport office today at (228) 864-1588 or toll free at (877) 576-7279 for more information on DUI and drunk driver law in Mississippi.